Samarov tweeted last week: "Anyone out there feel like paying me to paint or write something? 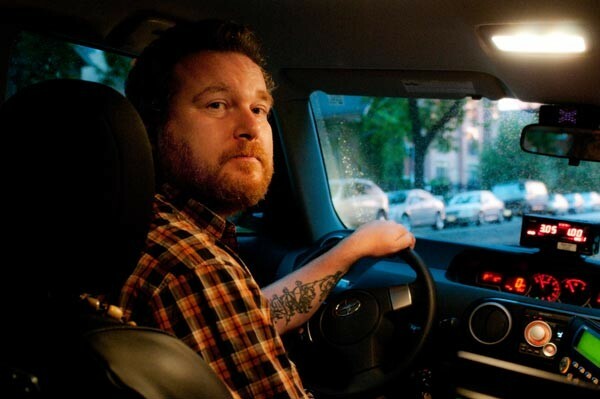 I really don't wanna drive a damn cab anymore." He elaborates on his Kickstarter page: "What I’m lacking is time. I drive a taxi 60-80 hours a week to make ends meet. A month or two to just sit and edit all the bits and pieces I’ve got into a coherent whole would be a great help. I’m offering a bunch of original artwork as a reward to those of you that would like to contribute." A $25-plus pledge gets you a signed copy of the new book. $75-plus, an original illustration from the book. $100-plus, "A picture for you. I'll draw or paint whatever you'd like (within reason.) PLUS a signed copy of 'Hack: More Stories from a Chicago Cab.'" $250-plus, all of the above. The campaign ends June 1. Samarov is looking to raise $6,000. At the very least tip him well if you happen to flag him down.